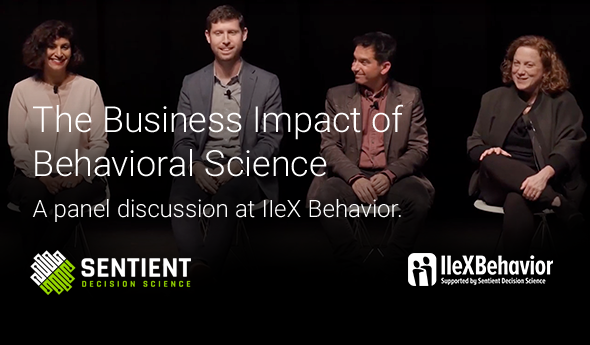 At IIeX Behavior this year, one of the highlights was this informative and entertaining panel discussion on “The Business Impact of Behavioral Science”, which was moderated by Stephen Springfield, EVP/CMO of Sentient Decision Science. This diverse panel was comprised of industry leaders from a variety of client and supplier-side companies and included: Rajwant Sandhu (Vice President of Behavioral Science Strategy from Fresh Squeezed Ideas), Brian Laverty (Sr. 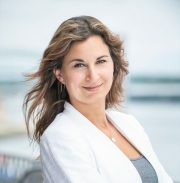 Manager of Consumer Insights Research from Turner), Kevin Perlmutter (EVP, Chief of Innovation from Man Made Music) and Sarah Snudden (Consumer Insights at Keurig Dr. Pepper).